Renovating your home is your chance to make design choices that are convenient and attractive. Your choices could save you time cleaning in future, or provide you with a more durable alternative that needs less replacements. One example of this is using back-painted glass as backsplash in your shower enclosure. 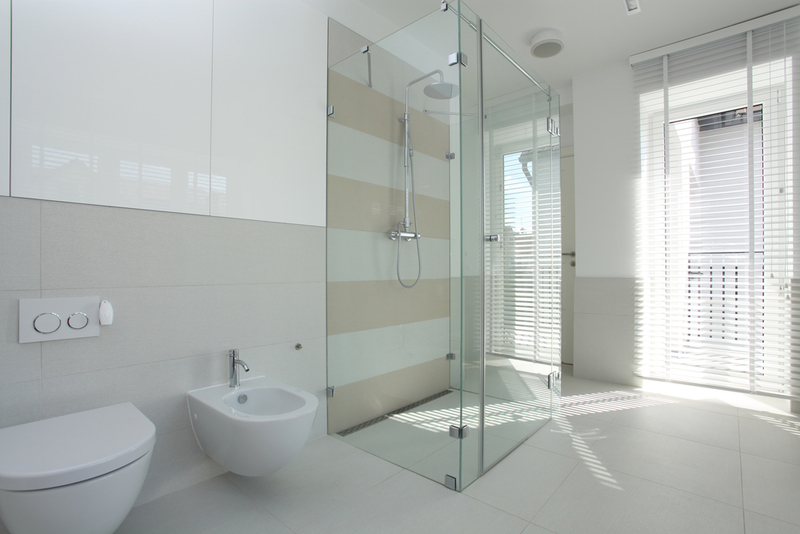 Back Painted Glass is a Beautiful Alternative to traditional tile. Our back painted glass designs can be created using virtually any colour to suit your existing decor. Warm or cool colours can be used behind the glass to create a spa-like feeling for your space. Spice up an old bathroom with this addition or completely revamp your space by installing a complementing vanity. Unlike block tile, back painted glass is a chic, minimalist design tool that works excellently to accentuate light in your bathroom space. The surface is slightly reflective which allows light to bounce around your bathroom space. This creates an overall brighter feel for your bathroom. Your renovations are a chance to make convenient but beautiful choices for your home. Choose an alternative to tile that will give you a luxurious feeling every day – even if you are the one who has to clean the bathroom afterwards.